Clara was referred to GoodGym by the British Red Cross in 2016. She has lived on her estate for more than 70 years and she's now still living independently at the age of 98. Victoria started running to see Clara in March 2017 and since her family live far away is one of Clara’s only visitors. 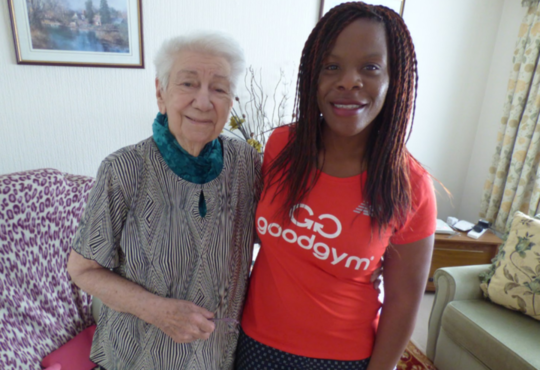 I can go back 100 years"
Victoria had wanted to help an isolated old person for a while when a friend told her about GoodGym. 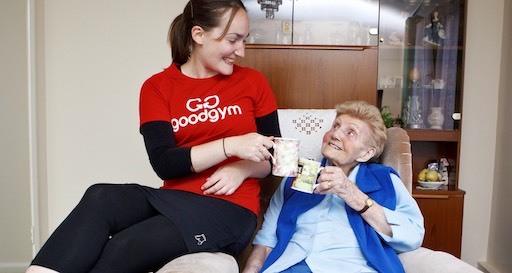 She registered her interest online and once GoodGym started in Richmond she signed up.